For our Social Media Project we decided to create a blog on Blogger.com. Getting registered and setting up a blog was surprisingly easy. Even those that are not tech savvy can create their first blog in under a half hour. Setting up the blog was the easiest part of creating and maintaining it. Our blog was up and running is a matter of minutes and ready for interested readers to begin following us. We decided to focus our blog on current events that related to topics that we were covering throughout the semester in eCommerce class. Each blog entry began with a summary of a topic, then our opinion of the matter, and ended with questions for our readers. We wanted to engage readers in our blog by asking them thought provoking questions at the end of every entry. We tried to cover topics that would be fun or entertaining to our readers (aimed at other college students) while also being useful and interesting. One of the most difficult thigns that we found was creating enough interest in our blog to gain new readers. It was also challenging to retain the interest of current readers. Writing the blog was simple, but we maybe should have focused more on getting readers and followers to interact with us. It is a tricky balance though because you won’t get new or engaged readers without having interesting blogs. Another challenge we found was keeping our blog active by updating it regularly. We found that a blog requires at least one author who puts in a significant amount of time managing the blog – something that can be tricky for a college senior getting ready to graduate. 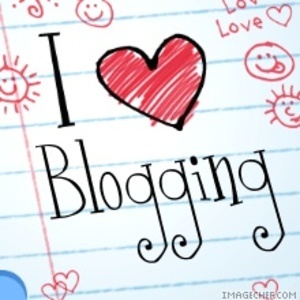 Interesting, do you think you'll keep blogging? I liked the one you wrote about Christmas sweaters!